Many German festivals hold Wiener Dog Races, or Dachshund Races, which date back to the late 19th Century. 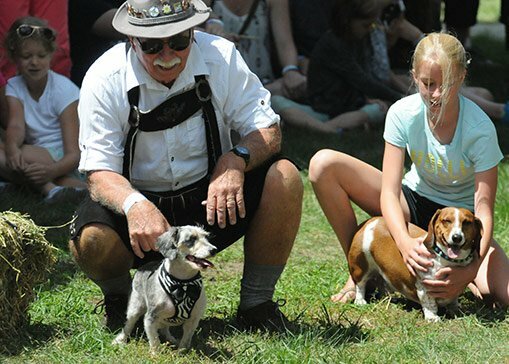 The Bavarian Blast race is not limited to the German Dachshund, but open to other small breed dogs as well! Don’t have a dog in this race? Come cheer these furry pals on! Fun for the whole family! Call 888-463-9856 to reserve your place in the race! Registration is free, prizes awarded to top 3 finalists. Free admission to dog owners (1 free Saturday admission per dog registered).